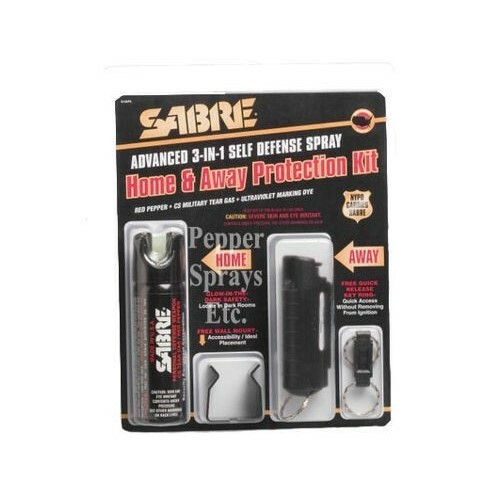 Each SABRE Red USA Home & Away Protection Kit is equipped with two (2) self-defense sprays, a home pepper foam unit and key chain pepper spray with case. 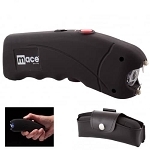 The 2.5 oz home pepper foam unit features a glow-in-the-dark safety and a wall mount clip to keep out of the reach of children. 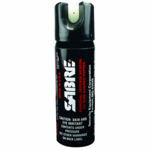 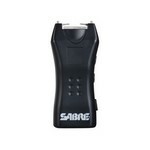 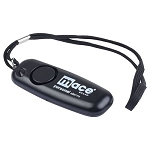 SABRE Red's most popular product addresses the "Away" need with its 0.54 oz black key chain pepper spray with case and quick release key ring pepper spray for immediate accessibility. 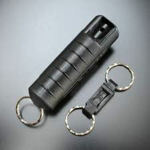 Both Home and Away pepper spray models deploy 8-10 feet and contain multiple blasts for protection against more than one attacker.